Past Lives, Artists, and Pets | Bernie Siegel M.D. I find as time goes by that these columns come more often from my heart, experience, and feelings and less often from my head and thoughts. For one thing, I do believe that my past life experience as a knight, who killed with a sword, took place in Ireland. People have often felt my wife is Irish, too, and I do believe we shared a past life tragic experience. I felt something special when we visited Ireland, and had a child named after me by a patient of mine when I helped resolve a crisis during her pregnancy. She said we are naming our son after you, not Bernie but Brady, because we are Irish. My wife and I marrying resolved the conflict between the families in our past lives, as the land they were fighting over became our wedding gift and there was no longer anything to fight over. I also learned about having faith in those who represented your Lord, and not acting out of fear, but out of faith. I believe Abraham and Jesus are prime examples of those who did not fear their Lord, but feared separation from their Lord, and so their faith guided their behavior. Now where am I going with all this? I want to tell you about another so called coincidence. I rely on them in my life. I let my Lord know my needs and desires and then follow my Lord’s instructions. I have written about the death of our two dogs Furphy and Buddy this year. So I let my Lord know that I was looking for another dog and would wait for a sign or message when the right one appeared. I did go to the local shelter, but didn’t connect or find any special signs when I looked over the dogs, and even took one for a walk and home visit. The other day I got the feeling it was time to go back. 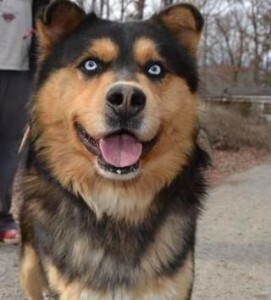 I asked if there were any new additions and indeed there was a husky, malamute mix that just came in that day. I love those breeds and went to see the dog. He was sweet and friendly and I was thinking about possibly adopting him. Then I looked at the information sheet on his cage’s gate. Name: Brady. Well, I immediately said I wanted to adopt him and I will once a vet sees him and they get his blood tests done. Just another coincidence? I don’t think so. Nor was the adoption of our other dogs. Furphy was running loose when I went into the shelter and ran up and grabbed my leg, and Buddy was sitting in the doorway having just been brought in. A voice told me to go to the shelter after I finished writing my book Buddy’s Candle. Of course when I asked his name the answer was, Buddy. I expect and look for these coincidences all the time to help direct me. It is all about our consciousness being a source of communication and wisdom for us all no matter what species we belong to. 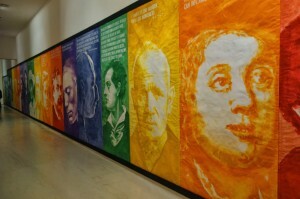 Now as far as my interest in art as a child, I feel that relates to past life consciousness, too. 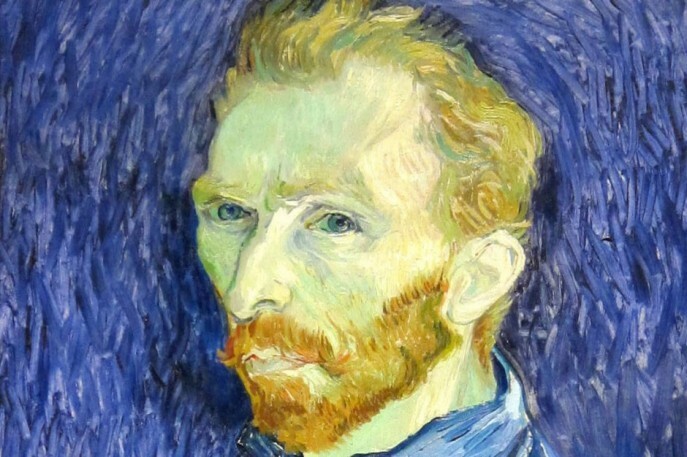 In this case, as crazy as it may seem, I think my connection is Vincent Van Gogh. I believe when we find unusually talented children, they are displaying something present within their consciousness that is rare and exceptional, reflecting from whom the source of that consciousness comes. I have always felt close to his work and very sensitive to his life and suffering. I urge you to listen to, or read, the complete lyrics of the song about Vincent Van Gogh’s life, Starry Starry Night by Don McLean (http://www.don-mclean.com/ ). The first time I heard it, I felt deeply moved by it, and just want to listen to it over and over. You can do it via the internet. Years ago, as I began to work with cancer patients, I felt exactly as the lyrics in the song describe. I ended up on all the talk shows with doctors arguing emphatically about my application of healing as a multifaceted experience—and one in which the patient has to be a partner. Now, those same doctors tell me I was way ahead of the times. But I was fortunate enough to have the support of loved ones and past life consciousness. 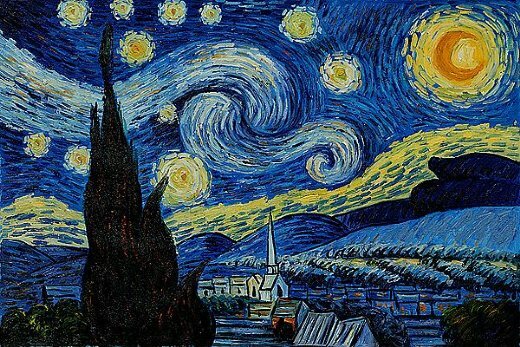 Try to live by of these brilliant lyrics in Starry Starry Night. Live the authentic portrait of your life, and don’t worry about what others see. You are the artist and your life is a blank canvas until you pick up a brush and start to create your image. This entry was posted in Animals, Creativity, Parenting & Family, Spirituality, Stories and tagged authentic life, Don McClean, past lives, Starry Night, Starry Starry Night, Vincent Van Gogh. Bookmark the permalink.